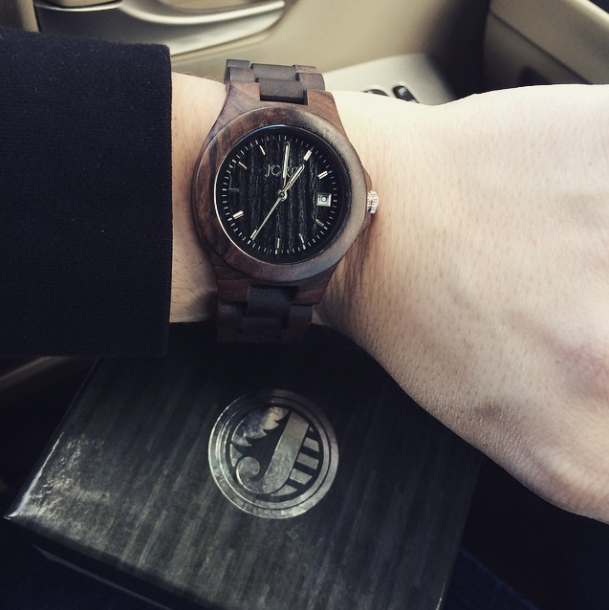 Just Call Me Chaviva: Giveaway: Treat Yourself to a JORD Wood Watch! For some, an important preparation point for Passover goes beyond buying enough wine and getting the right matzah to purchasing something nice -- a new dress, scarf, piece of jewelry, hat -- for the lengthy holiday. Although it can be a point of contention (I crowdsourced a religious Jewish women's group on Facebook and got some pretty rough responses), in my experience it's a common practice to prep for Passover (or any major Jewish holiday) by doing something special to really ignite the special quality and holiness of the day. In my world, this usually means buying a special scarf or something similar within my means, but this year, oh this year I got lucky and you have a chance to, as well. The impressive folks behind the JORD Wood Watches contacted me about a review and a giveaway, and usually I would decline because of relevance to the blog, but I realized that Passover is fewer than 50 days away and people are in prep mode already. That's fewer than two months folks. Have you even considered what your seder will look like? Have you thought about which haggadah you'll be using? Well, I'm here so you have the option of kicking back a bit and not having to think about the stressful parts of Passover but being able to focus on something lighter that could bring some light to your holiday. I requested the Ely - Black JORD Wood Watch, because, well, come on now, it's beautiful. I'd never actually seen, worn, or purchased a wood watch before, because I had no idea it was even a thing. I've been a loyal Swatch wearer for years, but I've been converted. And you know my commitment: I'm honest in my product and book reviews. Outside of receiving the product free, I'm not getting paid for this review. This watch is light-weight (it's wood after all) but substantial on the wrist. The Ely in black is one of the classiest watches to ever grace my wrists; it's the kind of watch I'll be wearing to The Jewish Experience's Annual Gala Event this month but also will wear day to day to work. The versatility is key -- wood seems simplistic, but the finish and design are what take it up a notch. So here I am, offering you the chance to win a JORD Wood Watch, which is a $129 value with free shipping. You get to pick out your own watch if you win -- for you, your sweetheart, your kid, you name it. The giveaway ends on February 28, 2015, so please spread the love and make sure everyone you know who deserves something nice for Passover (or Easter or just because) gets an entry to win.